Hey everyone! Welcome to another RCM market week! We hope you came to join us yesterday at the St. John’s Harvest Fest! RCM had a booth and we were there to get more people interested in local food! Don’t forget October 24th we have a soap-making workshop hosted by RCM. This workshop will run from 5:30-6:30 (during normal market hours), so you can place an order, attend a workshop to learn to make soap, and go home with local food all in one evening! The cost is only $5.00, and you can add a ticket to your order right on the market page! Super easy! If you missed it last week, RCM has chicken! Breasts, thighs, legs, and wings, oh, and whole chickens too, brought to us from Bright Moon Ranch. If you’re looking for pumpkins, we have those too! There are plenty to go around, and at a reasonable price, you can get one for everyone to decorate! Squash, potatoes, and purple hull peas round out the veggies! Plenty for the ordering! Just wanted to send out a quick reminder that we will be closing for order tonight at 10:00 p.m. Still plenty of time to get your orders in! Also, if you missed it on our Facebook page, RCM is holding a soap making workshop on October 24th from 5:30-6:30. You can reserve a spot by buying a $5.00 ticket on the market! Only 25 spots available, so be sure to get yours soon! We hope to see you Thursday on market day! Check out our Facebook page for great info on local foods issues and upcoming events. It's Market Time, and we have chicken!!! Hey everyone! Welcome to another market week! The first exciting announcement: Bright Moon Ranch has chicken available on the market! Not just whole chickens either, but chicken breasts, thighs, legs, and wings! If you missed it at the end of last week, there is FRESH CORN available on the market. Don’t miss out on this! Lots of squash and other great produce available as well! Still thinking of trying RCM for the first time? This is a great week to do it! Lots of great products available! The Scarecrow Farmer; Oh, and RCM is open for orders! Hey everyone! Welcome to another RCM week! We’re glad you’re here. First, if you missed it on our Facebook page, which you totally shouldn’t have :), the video below is an ad from Chipotle that shows the importance of our farms and farmers. It’s a very powerful look behind where our food comes from. It’s an animated short film, but you’ll enjoy it, I promise! Give it a look! I know, right?! Awesome video. Our unique, delicious, locally grown and made products are all ready to go to a new home—They would look great in yours! Thanks for ordering, and we look forward to seeing you on Thursday! Good morning everyone! We are open for another market week! 5. Email and another contact information is there, ready to be used to contact that particular farmer, producer, or artisan. It’s that easy! If you’re new to RCM, the Question and Answer tab has some helpful information for you to get started. How to order…How to pay…How to contact the market managers…These questions are all answered there! Check out all of our great local products available this week! Just a friendly reminder that the ordering period will close at 10:00 p.m. tonight. Still thinking of giving RCM a try? Your body (and your stomach) will thank you! Just try replacing one aspect of your meal with healthy, local food. You won’t regret it! Thanks for supporting RCM, and we look forward to seeing you on Thursday. We’ve made it to another market week! We’re glad to have all of you as a part of the RCM community. Welcome! One Nerd Bakery is back on the market this week! Look for her products! Spaghetti squash and butternut squash are available on the market this week! Tomatoes too! If you missed out on the announcement last week, purple hull peas are available for the ordering, and there’s plenty to go around! New items on the market to look out for this week: Green Apple Butter, spaghetti squash, and a new pre-prepared meal of wine and tomato braised chicken. Yum! If you missed out on the new RCM fridge magnets, there are still plenty left to order! We sold a bunch last week! 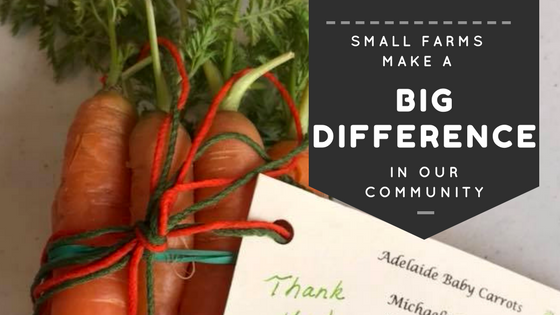 Thank you for your continued support of RCM an of your local farmers who bring you the best local food around! A quick reminder that we will be closing at 10:00 p.m. tonight for orders. You still have plenty of time to pick up your weekly staples, and maybe even try something new! We look forward to seeing you on market day, Thursday!